An Inhuman from the Marvel Cinematic Universe. Raina was a scientist and grifter who allied herself with Hydra in an effort to discover the truth of her Inhuman roots. Having grown up in extreme poverty, Raina utilized her charms and whiles to make a life for herself. At some point she encountered Cal Johnson, a doctor who had intimate knowledge of the Inhumans. Together they helped Raina infiltrate the ranks of Hydra, secretly maintaining their own agenda. Eventually, Raina was able to make her way to the ancient Kree temple and underwent Terrigenesis. She had hoped and believed the process would turn her into something wonderful and angelic, but the haphazard nature of the Terrigen Mists did not bestow onto her a gift she was especially happy over. She was transformed into a somewhat grotesque creature with razor sharp claws and thorn-like quills that protruded all about her body. Dismayed and in a great deal of pain, Raina contemplated taking her own life, wandering into the traffic of a busy highway. Before any harm could come to her, however, she was rescued by the Inhuman teleport, Gordon, who transported her to the sanctuary known as Afterlife. While living in Afterlife, Raina slowly realized the true nature of her inhuman gifts. She discovered that her dreams and visions had a prognosticatory quality; that with concentration she was able to effectively predict the future. With this impressive new ability, the always ambitious Raina sought to arrange a coup to wrestling leadership over the Inhumans of Afterlife from its current leader, Jiaying. Jiaying was too clever for her, however, and this coup was squashed before it could even start, and Jiaying murdered Raina. Prior to her death, Raina had one final vision that told her that the true leader the Inhumans needed to be Jiaying’s daughter, Daisy. In a last ditch effort to help Daisy fulfill her destiny and free her from the sway of her mother, Raina arranged for her murder to occur at a location where Daisy would see this take place. Witnessing her mother killing Raina led Daisy to turn on Jiaying, an event that ultimately unraveled Jiaying’s plans and led to her demise. Raina’s character was portrayed by actress Ruth Nega. An image of a possible 616 universe counterpart to Raina was briefly shown in an issue of Inhuman where Lineage used the Codex to speak to all Inhumans and latent Inhumans in the New York Tri-State Area. Whether or not Raina’s 616 analog will eventually show up in the comics remains to be seen. An Inhuman with orange skin and large, fox-like ears. Rajar and his friend Bochek were celebrating the wedding of Tally on a balcony overlooking the city square. A bit drunk, Rajar and Bochek mocked the ways of the genetic council and the decree mandating arranged marriages. Neither were paying attention as their friend, Tally, wandered closer and closer to the edge of the balcony. Tally had been heartbroken over not being allowed to marry her true love. Instead, it was determined that she would marry Frag whom Tally did not love. Despondent, Tally threw herself from the balcony and fell to her death. Rajar and the others could only watch on in horror. This was Rajar’s lone appearance and his current whereabouts remain unknown. A former king of the Inhumans as well as the founder of the Terrigen Mists. Randac ruled Attilan thousands of years ago. Randac was keenly interested in the mysterious properties Terrigen. Terrigen was a crystalline mineral that had been discovered in subterranean alcoves beneath the city. Randac felt convinced that these crystals were a key to his peoples’ destiny and he conducted numerous experiments upon them. Randac rendered a collection of the crystals into a gaseous form and decided that he must expose himself to the result mist. His advisers pleaded with him not to take this risk but Randak would not be swayed. He entered into the specialized chamber where his body was bathed in the Terrigen Mist. Somehow, Randac’s activities on Attilan caused a Kree Sentry to activate in nearby Iceland. The Kree scientist who had originally experimented on The Inhumans had left the Sentry behind to monitor what would ultimately become of the Kree’s abandoned experiments. Sensing Randac’s activities, The Sentry activated and quickly made its way to Attilan. When Randac finally emerged from the chamber of Terrigenesis, he discovered that he had been imbued with super powers, enhanced strength and the ability to emit powerful force blasts from his hands. The Sentry was there waiting for him. It decided that it was impressed with Randac’s discovery and stated that Randac had ascertained the true purpose of The Inhumans. For this reason, the Sentry declared that it would not destroy Attilan and would instead leave the Inhumans in peace. Over time, many Inhumans subsequently followed Randac’s example and subjected themselves to the Terrigen Mists. As the years went by, Terrigenesis became a ritual that most all Inhumans would undergo during the time of their adolescence. Whereas Randac received impressive powers and his physical appearance was left unaltered, this was not always the case for other inhumans. Some were bestowed with relatively meager powers and others were physically mutated in dramatic fashions. It was believed that haphazard nature of Terrigenic transformation was actually the result of an individual’s genetic makeup and inherited qualities of one’s family lineage. A Genetic Council was formed to attempt to guide the process of Terrigenesis, to utilize the process of prearranged mating practices in an effort to ensure preferable and advantageous results from the transformation of Terrigenesis. Randac lived out his kingship and went on to be viewed as the founding father of Inhuman culture on Attilan. Ransak the Reject. 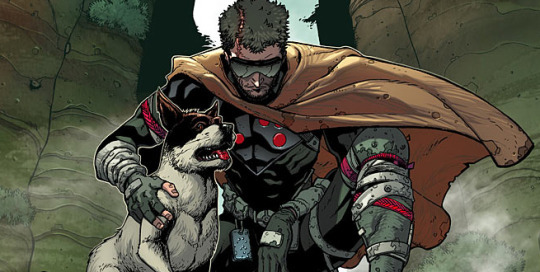 The son of the Inhuman renegade, Maelstrom, and an unnamed mother who was of the Deviant people of Lumeria. Although he was never exposed to the Terrigin Mists, Ransak possesses moderate super strength and greatly enhanced speed and agility. These powers are possibly a result of Ransak’s Deviant lineage and/or genetic alterations passed down from his Inhuman father and grandfather. Ransak is quite handsome by human standards, yet was considered repulsive and grotesque by the standards of his fellow Deviants. Tormented and abused, Ransak was forced to fight in the gladiatorial games orchestrated by King Toad, the then leader Lumeria. Ransak’s strength, skill and savagery aided him well as a gladiator and he made short work of many of his opponents. Upset that this puny, human-looking reject had bested his prize gladiators, Toad arranged for Ransak to face off against the Deviant champion, the red-skinned behemoth known as Karkas. Meanwhiule, The Eternal known as Thena had come to visit Lumeria, accompanied by her ally, Kro. Thena witnessed the gladiatorial games and saw young Ransak go up against Karkas. In the midst of this terrible battle, Ransak and Karkas came to realize that the two had very much in common. Both had been shunned by their Deviant peers and forced to fight against their wills. The two ultimately chose to fight alongside one another and attacked their guards. Thena had felt great sympathy for the two Deviants and she seized the opportunity to save them. She used her powers and teleported both Ransak and Karkas to the Eternal sanctuary of Olympia. Although it was a tough transition, Ransak came to appreciate the good treatment and sense of equality he felt from the Eternals. Both he and Ransak decided to stay on and fight at the Eternals’ side. The two went on to have many adventures with the Eternals. Ransak’s current status and whereabouts remain unknown. Also unknown is whether or not he ever learned of his Inhuman heritage. It is possible that exposure to the Terrigen Cloud may cause Ransak to go through Terrigenesis. Whether or not such a tale will ever be told, however, remains to be seen. The wife of the Attilan dissident, Phadion, and mother to the jungle hero, Tuk. Phadion had tied to usurp the leadership of Attilan from King Myron. He failed in this bid and was exiled from the isle. Rhea chose to stand by her husband’s side in this exile, along with their infant son, Tuk. Sadly, both Rhaya and Phadion perished soon after their exile, leaving their child to fend on his own. Tuk was taken in by a kindly group of prehistoric men, who raised him as one of their own. The further adventures of Tuk The Jungle Boy was told as a back-up feature in the original run of Captain America Comics. The Inhuman known as Reader was born in Orolan an unspecified time in the past. Orolan had been an Inhuman settlement established in a secluded corner of Greenland by a group of dissidents who had left Attilan many, many years back. Orolan maintained a very different philosophy regarding Terrigenesis compared to that of Old Attilan. They believed that only the strong and the worthy possess the right to go through the transformation of the Terrigen Mists. Orolan had been ruled by an order of religious monks who determined who among them was worthy of Terrigenesis. Young Reader was one such resident selected to be exposed to the Terrigen Mists. At first it appeared as though the mists had no effect on him. His physical appearance was not altered and he did not seem to be endowed with any special gifts or powers. Reader was returned to his parents’ care as the monks conferred on what to make of all this. That night Reader read a book before going to sleep. The citizens of Orolan had collected many books and novels from the human world and Reader was quite keen over the stories that entailed fantasy and science fiction, his favorite being the author, Ray Bradbury. The book he read that evening was Bradbury’s novel, Fahrenheit 451, and shortly after falling asleep the family’s home was engulfed in a tremendous fire. Reader was the only member of his family to survive the fire. Following this tragic incident, The Monks of Orolan were able to ascertain what had occurred. Terrigenesis had imbued Reader with reality-altering powers; whatever he read could be made into reality. Reading about the fire in the Bradbury novel had caused him to unconsciously generate the blaze that claimed his family’s lives. Fearful of the great power that Reader now possessed, The Monks decided that Reader could not be trusted wield such incredible abilities. Thus they took Reader and had his eyes removed. Blinded and a pariah to his people, Reader eventually fled from Orolan, venturing into the world of the humans. Although he had lost his sight, Reader discovered a new means of using his powers by learning to read brail. It turned out Reader powers were not dependent on his sight but was instead activated by the mere act of reading. He fashioned a series of tiles that he kept on his person at all times. These tiles had words written in brail; words such as ‘teleport,’ ‘force field’ and other such things. Reading the tiles enabled him to manifest these powers for brief periods of time. The process of generating these powers took a great tole on Reader’s constitution and he found that he was only able to use three powers (or three ‘reads’) before needing to recuperate. Sleep, even a brief nap or bout of unconsciousness, has thus far sufficed in regenerating Reader’s constitution, thus enabling him to again use his powers. At some point during his travels, Reader came across a dog whom he named Forey. Forey became Reader’s companion as well as guide-dog. Reader has developed specific tiles that allow him to utilize Forey as a conduit for his powers. For example, he will often channel his powers through Forey to see through the dog’s eyes. Reader and Forey traveled the world often taking jobs as a mercenary and bounty hunter. He developed contacts with numerous organizations, including the secretive Inhuman conglomerate known at The Enilux Corporation. Reader additionally forged ties with Old Attilan. At the time, only King Black Bolt and select members of the Genetic Council knew of the existence of Inhumans outside of Attilan and many believed that Reader was simply an Inhuman born of Attilan who had been given permission to venture beyond the secluded confines of the city. Years later, following the creation of the Terrigen Cloud and the advent of new Inhumans showing up all over the globe. Reader was contacted by the Enilux Corporation and tasked with a special and highly lucrative assignment. He was sent to scour the ranks of the various new Inhumans created by the T-Cloud and retrieve the most powerful one he could find. This mission eventually brought Reader to a rural area of Mainland China where he discovered the new Inhuman, Iso (Xiaoyi). At the time, Iso’s family home was being laid siege by a battalion of soldiers of the Chinese Army; a patrol who were combing the countryside searching out new Inhumans created by the Terrigen Cloud. Feeling threatened and not fully in control of her abilities, Iso lashed out, creating a force wave that blew back a number of the soldiers. In response, the commanding officer ordered his men to fire and tank shells were blasted at the home. Reader intervened, using one of his tile-based powers to temporarily freeze time. He had specially altered this time-sphere so that everything within it was stuck in place except for himself, Forey, and Iso. He introduced himself to Iso, claiming that he could explain what had happened to her and offer her refuge were she to come with him. Although she was initially wary of this strange foreigner, Iso ultimately chose to accompany Reader. Following a series of misadventures, Reader, Iso and Forey eventually made their way to Venice, Italy, where Reader presented Iso to the leader of the Ennilux Corporation, the Inhuman known only as The Capo. The Capo was quite pleased with the great power that Iso possessed and Reader was payed handsomely for delivering her. Shortly thereafter, it dawned on Reader that The Capo was planning on transplanting his consciousness into Iso’s body, a process that would destroy Iso’s sentience and effectively kill her. Reader had become quite fond of Iso and the prospect of her demise caused him to change his mercenary ways. Just as The Capo was preparing for the mind transfer, Reader swooped in and rescued Iso. This led to a wild chase throughout the streets of Venice. The agents of Ennilux were closing in on them, yet Reader had used up all three of his tile-based powers. He convinced Iso to create a localized vacuum sphere around his head so that he would be rendered unconscious due to lack of oxygen. His plan was that, once he could be awakened, his powers would be recharged. Iso reluctantly agreed and was forced to fend off the Ennilux agents on her own until Reader could be finally jostled back into consciousness. He’s powers recharged, Reader utilized a tile that instantly teleported Iso, Forey and himself to New Attilan. The Capo and his forces pursued Reader and Iso to New Attilan where a tremendous battle ensued. This conflict was quickly ended when Black Bolt arrived on the scene and decimated the Ennilux forces, including he Capo who appeared to perish in the battle. Afterward, Reader presented Iso to Queen Medusa and the young Inhuman was offered a place of amnesty on New Attilan. Iso agreed to stay, but was saddened to find that Reader was leaving. Reader was welcome to stay on New Attilan, but he claimed to have affairs that needed tending to elsewhere. Following a short farewell, Reader and Forey departed. Months later, Reader was recruited by Black Bolt to assist in an effort to retrieve his son, Ahura, from the clutches of Kang The Conquerer. The initial mission to rescue Ahura did not go as planned and Black Bolt, Reader, and Triton were forced to turn to Queen Medusa and the Inhumans of New Attilan to assist in a second effort. Although it was not easy, the Inhumans ultimately prevailed, Kang was defeated, and Ahura was reunited with his mother and father. Some time thereafter, Reader was present in the Quiet Room speakeasy when a specialized formula developed by the Ennilux Corporation was stolen. A tentative truce between Ennilux and New Attilan had recently been forged and it was essential that this formula by retrieved so to maintain the treaty. Reader assisted Nur, Inferno, and Irelle in the investigation and eventual discovery of the stolen formula. Here it was revealed that, alongside his Inhuman powers, Reader is also an expert tracker. It turned out that it had been The Capo who had stolen this formula as part of an effort to regain leadership over the Ennilux Corp. Reader and the others were able to retrieve the formula, but The Capo escaped, leaping his consciousness into Forey’s body and running away. The others returned the formula to the Quiet Room while Reader went in search of Forey and a final showdown with The Capo. Reader was joined in this pursuit by the young Inhuman, Treste. Following a tracking chip Reader had on Forey’s collar, the two Inhumans were led into a trap orchestrated by The Capo’s goons. Treste was killed and Reader himself severely wounded. The Capo’s goons tied Reader up removing his brail tiles and leaving him to die. They believed that Reader was powerless without his tiles; yet Reader used what little strength he had left to write out a word in brail using smalls rocks and dirt. The word was ‘rewrite’ and reading this word caused the entire series of events that led him to this dire situation to be rewritten and played over again. Knowing what to expect, Reader was able to dispatch the goons and ensure that Treste was not hurt. Correctly positing that The Capo was still intent on possessing Iso, Reader tracked Forey to New Attilan. He arrived just as the Capo was leaping his consciousness from Forey into Iso. Reader used one of his tiles to deflect The Capo’s consciousness, redirecting and transforming it into The Capo’s name, written brail, across one of the large glass windows of the palace. Reader then used his staff to shatter this window, destroying The Capo. The nature of Reader’s powers, his ability to essential rewrite continuity and travel through time is what has brought him to the attention of Treste and her twin sister, Irelle. These two Inhumans are the young daughters of Auran, the Attilan Security officer who was killed by Maximus. It appears as though Treste and Irelle are hoping that Reader might be able to utilize his powers to somehow resurrect their mother. Reader is likely to want to help Treste and Irelle in this, yet what has been made evident is that there are huge costs extracted in use of Reader’s powers, costs on him personally as well as costs inflicted onto the fabric of reality itself. Changing a variable in the past can have a ripple effect altering the present in future in an impossible-to-predict fashion. And yet a solicitation for a future issue of Uncanny Inhumans shows that Auran has indeed returned from the dead. How this has occurred, what the ramifications will be, and how Reader may be involved is yet to be determined. Stay tuned! A diminutive, three-armed Inhuman who possesses the ability to etch lasting, colorful tattoos onto the skin of his fellow Inhumans. Rexel’s small size and relatively unimpressive powers left him largely alienated from his fellow Inhumans as well as the subject of many a joke among his peers. Terrigenesis can be a haphazard gamble and Rexel often felt as though he had drawn a poor hand. Rexel was in the lower rings of the caste system of old Attilan, and yet he loved his home and fought to protect it. When Attilan was laid seige by a group of mercinaries, Rexel threw caution to the wind and charged in to defend his fellow Inhuamns. He ultimately sacrificed himself, taking fire in order to save Tonaja. Afterwards, a statue of Rexel was erected in honor his memory and selfless valor. A young Alpha Primitive who broke with the traditional mandate separating the Alphas from the other Inhumans of Old Attilan when he fell in love with Gorgon’s young daughter, Alecto. The Alpha’s had previously been sexless clones who reproduced strictly through cloning. Once Black Bolt had abolished the practice of slavery on Attilan and freed The Alphas, the creation of new clones ceased. Subsequently, the number of Alpha began to gradually diminish. Somehow this led to a mutation among the younger generation of Alphas and they developed sexual characteristics as well as the ability to reproduce via procreation. Reyno was one of the first Alpha’s to develop secondary sexual characteristics and he fell in love with Alecto. Alecto loved Reyno as well and their forbidden romance caused quite a scandal among the society of Attilan (as well as abject outrage on the part of Alecto’s father, Gorgon). Gorgon demanded that his daughter not see Reyno. Desperate, the two stole a spacecraft and traveled from the Moon down to The Baxter Building in Manhattan, where they asked for amnesty among the Fantastic Four. Gorgon pursued the youngsters and tried to take his daughter back by force. The Fantastic Four stopped him and tried to work the matter out in a more diplomatic fashion. There were some tense moments where Reed Richards and Sue Storm considered whether or not to offer protection to Reyno and Alecto. In that the two Inhumans were still technically minors and neither had actually being abused, Reed ultimately decided to hand Reyno and Alecto back to the Inhuman Royal Family, noting that it was not their right to tell a parent how to raise their child. Reed’s wife, Sue, very much disagreed with this decision, but she reluctantly stood by her husband’s side on the matter. It was a very sad affair and, shortly thereafter, Alecto had a change of heart, deciding to end her relationship with Reyno and adhere to the more traditional customs of Attilan. Understandably, Reyno was heart-broken. Some time later, Crystal traveled to the Baxter Building and therein informed Sue and Reed that Reyno and Alecto had rekindled their romance. King Black Bolt had offered the relationship his blessings and provided the two a plot of land on the outskirts of Attilan where they could live in peace, safe from the angry Inhumans and Alpha Primitives who so opposed their union. Adam is an adolescent latent Inhuman who was transformed due to exposure to the Terrigen Cloud. The exact nature of Adam’s new form and potential powers remained unrevealed, but his parents reported that the youth’s past difficulties with chronic allergies completely dissipated. 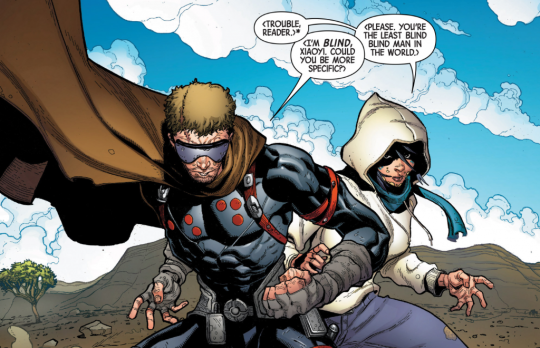 Shortly after Adam’s transformation, the youngster was abducted by agents of a splinter group of Hydra seeking to exploit and weaponize the mutagenic properties of new Inhumans. The abduction was investigated by Shield and sub-director, Phil Coulson, contacted Karnak who begrudgingly agreed to seek out and recover the youth from the villains’ clutches. In exchange for rescuing their son, Karnak demanded that the boy be remanded into his custody as a devotee to the Tower of Wisdom until he has come to fully master his new powers. Desperate to rescue their son, Adam’s parents were forced to agree to Karnak’s extreme demands. Karnak was able to track the cell down and discovered that they had become a cult, worshipping a strange and new religion. Upon further investigation, Karnak learned that this religion was based around Adam himself. Terrigenesis had endowed Adam incredible reality-warping powers. He could control reality and bend it to his will; and used it to become a deity-like figure worshiped by those around him. Karnak, with his absolutist and nihilistic views, perceives Adam as an existential threat to the world that must be stopped by any means necessary. Karnak and Adam are heading toward their final confrontation with one another is the upcoming sixth and final issue of The Karnak mini-series. An Inhuman guardsman who patrolled the perimeter of Attilan when the city was located on the blue area of The Moon. Rok possesses a generally human appearance and has not yet demonstrated any Terrigenesis-based superhuman powers. He has, however, shown great proficiency with weaponry and tactical acuity. Rok was among the parameter guards who encountered a group of Kree invaders who disguised themselves as refugees seeking asylum on Attilan. These Kree attacked the guards and a couple of Rok’s colleagues were killed while Rok himself was taken prisoner. Black Bolt and the Royal Family were ultimately able to defeat and repel these invaders and Rok was shown afterwards, having survived his time in captivity. This was the Inhumans sole appearance and his current status and whereabouts remain unknown. A young latent Inhuman whose transformation was caused by way of exposure to the Terrigen Cloud. Prior to his terrigenesis, Romeo had been a runaway and pickpocket who eked out a living on the streets. Terrigenesis did not alter Romeo’s physical features and endowed him with the powers of empathic manipulation. Romeo has the ability to feel what others are feeling as well as cause them to feel more relaxed and at ease. Although this is technically manipulation, Romeo’s powers does not seem to entail true mind control; rather he is able to help a person calm down and feel less frightened when they are in a state of duress. Romeo was offered sanctuary in New Attilan and later became a part of Crystal’s ambassadorial team aboard the RIV. In one of his earlier missions, Romeo accompanied Crystal to rule America where an elderly new Inhuman named Doris had lost control of her powers. Romeo was able to put Doris’ mind at ease. Her anxiety having abated, Doris was able to regain control over her newfound powers. Romeo was next seen in Orlando where Crystal had sent him in to locate a new Inhuman who had been transformed into a moth-like anthropomorphic creature. Romeo was tasked with finding this new Inhuman and help him cope with the great stress brought about by his transformation. Unfortunately, Romeo got distracted flirting with Bobby Drake (Iceman of The All New Inhumans) and was not there when the new Inhuman awoke. This new, moth-like Inhuman emerged from his cocoon and was indeed in a state of great distress. He went on a rampage that the young X-Men mistook as the act of super villain. Ultimately, Iceman was able to subdue the new Inhuman and Romeo used his own powers to calm him down. 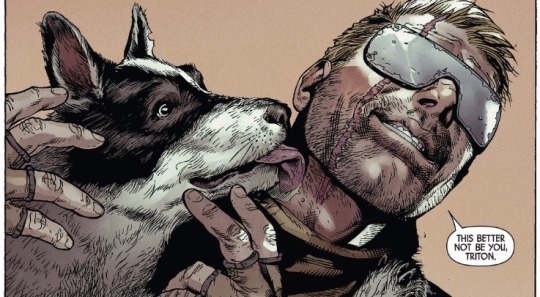 Afterwards, Romeo gave his number to Iceman and, despite the brewing animosities between the Inhumans and The Mutants, it is possible that a romance may arise between the two young men. An Inhuman scientist who lived on Attilan many generations ago. Romar conducted experiments on a destructive energy source that could nullify the atomic structure of any physical substance it came into contact with. He was warned by the academy of science to cease his experiments in that they were too dangerous. Romar paid no heed to these warnings and continued to develop this null energy. He was arrested by members of the royal guard during a critical phase his research. This caused the energy to break loose and it ended up destroying a significant portion of Attilan and killing many Inhumans before it ultimately consuming itself. Romar was among the casualties. Later, Maximus and his minions were able to discover the secret chamber where Romnar had conducted his experiments. Maximus was able to redevelop this destructive energy and fashion it into a rifle that could fire blasts of null energy. Maximus planned to use this weapon to conquer Attilan, but his plans were foiled by the combined efforts of Black Bolt and The Incredible Hulk. An Inhuman dignitary who was the mother of Black Bolt, the sister of Quelin, and wife to King Agon. Not much has been told about Queen Rynda. Her appearance was essentially human-like and what if any Inhuman powers she may have possessed were left unrevealed. Along with being the king, Rynda’s husband, Agon, was also the Chancellor of the Genetic Council and was obsessed with studying the mutagenic effects of the Terrigen Mists. To this end, Agon asked Rynad to be exposed to the mists while pregnant with their first child. Rynda agreed to this experiment and their first son, Blackagar, was exposed to the mist in utero. This resulted in Blackgar being born with is Inhuman powers already in bloom and his initial cry created a sonic boom that nearly destroyed the birthing center. Lynda was a loving mother who suffered greatly due to he fact that Blackgarr had to be confined to an isolation chamber so to protect Attilan from his sonic powers. As a result of this sorrow, it is possible that Rynada may have neglected her younger son, Maximus, potentially contributing to his conniving and antisocial demeanor. Queen Rynda and her husband were resting within the confines of the Royal Retreat during the time that Maximus had concocted a conspiracy with a group of Kree assassins. Black Bolt was forced to use his sonic powers to stop these assassins from firing upon the Retreat. Maximus was nearby and the concussive wave from Black Bolt’s sonic boom had a devastating effect on Maximus’s psyche. Maximus was currently in mental control of the pilot of the Kree spacecraft. The cerebral injury inflicted upon Maximus caused his psychic powers to surge, thus resulting in the pilot losing control of his ship. The spacecraft crashed into the Retreat, killing both Rynda and her husband. Rynda’s son, Black Bolt ascended to the throne shortly after the King and Queen’s death and Maximus was imprisoned. A statue of Rynada, together with her husband, King Agon, was erected to commemorate her memory.